Good morning! It has been awhile since I have done a Wednesday Fun color pairing. Today’s colors, Red and Green, are perfect for the season but would be beautiful anytime of year. Please pin images from their original sources and leave a comment below to tell me which room is your favorite! What do you think? The pillows are a little “Santa” but the abstract photography is fresh. The color on the walls make the space feel warm. This dining room is adorable! Even though green and red is being used, it feels like Springtime. Well, what can I say, any room with a piano (my first love) is gorgeous in my book. I love how this room as mixed so many different eras of pieces but is so polished. Did you notice all of the seating as tall backs? Just subtle hints of color in this space. Simple yet stunning. I am a sucker for the use of color and this room is it all. Those wall lamps and that coffee table! Gorgeous. Can I please have this wallpaper? Doesn’t it feel like a garden bedroom? Fantastic way to do red and green (with hot pink) for an eclectic look. Beautiful use of wall space. The saturated colors help this large room feel more intimate. The last room is one of my all time favorites. I have used the image before in Color and Trends for 2013 which you can find here. Did you pick your favorite? Come back tomorrow for Up to Date Interior’s Christmas Home Tour! You might also enjoy A Very Global Christmas page. 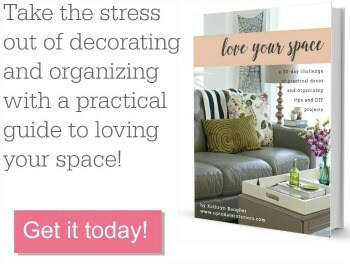 It has 12 days of globally influenced DIYs, decor, and decorating ideas. When we see green, our mind traces back to the abundance of green shades found in nature, evoking a restorative, quieting emotion,” says Jackie Jordan, director of color marketing at Sherwin-Williams . “Green also evokes tranquility and composure.” Green is considered refreshing to the eye and is recommended to use for nearly any room of the home where you want to evoke the feeling of comfort and winding down. Interesting thoughts on the color green. Thanks for sharing.